Power outages can happen for a variety of reasons but occur most frequently during the summer and winter months when weather and temperatures can be extreme and unpredictable. Power outages can happen unplanned in the case of strong winds or vehicle accidents that take down power lines or planned in the case of rolling blackouts which are used as a last resort by energy companies in order to curb energy crises or avoid system overloads. Rolling blackouts are more common during the hottest summer months when energy needs skyrocket due to increased air conditioning usage, but this type of intervention isn't very common within the United States. If a blackout occurs in your town or community, the most likely causes are damage to powerlines due to lightning strikes, wind, flooding and snow. If you reside in an area where these are particularly common, it's best to prepare yourself in advance. 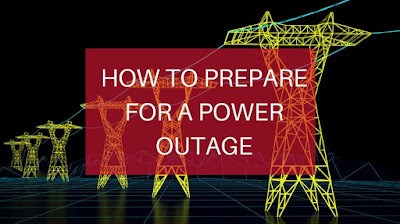 While power outages are often short-lived, we recommend that you follow a couple of simple guidelines in case an outage occurs so that you and your family aren't caught off guard by such an event. They may not be ready to hear about the birds and the bees, but talking to your children about possible emergency situations at any age can help you avoid a panic situation. 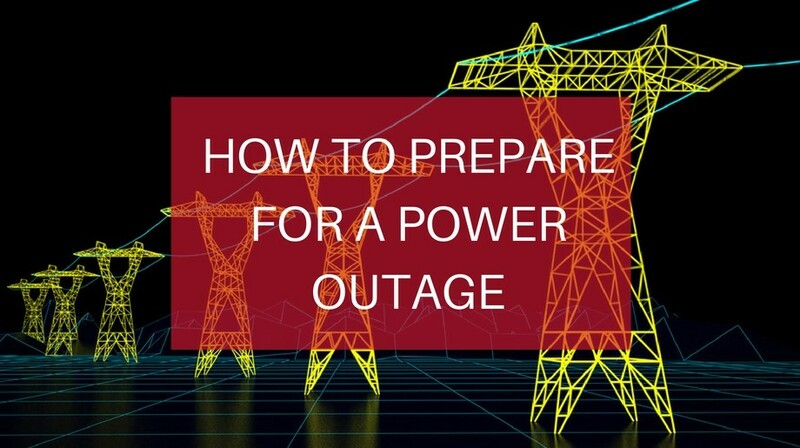 We recommend that you keep it simple by informing them about what causes a power outage and what your course of action will be in the event of one. Your plans may be as simple as staying put and preparing entertainment for the kids or stocking up on emergency cooling packs or blankets for outages in very hot or cold areas. Regardless of the extent of your plans, we recommend that you start with an emergency crank- or battery-powered light and that you keep extra batteries on hand. When power fails, surges in electricity that cause voltage to spike are highly common. When this happens, sensitive equipment such as computers can be damaged. A surge protector limits the amount of voltage that reaches your appliance in the event of a surge. Most power strips have built-in surge protectors and are available for $10 or $20. Candles are commonly associated with poweroutages. Use candles with care. If you light candles for temporary emergency lighting, don’t leave them unattended. Do not leave candles burning if you planto go to bed. Also, keep flashlights you’ll use solely in the case of an emergency stocked in various rooms of the house. When the power goes out, it's only natural to start thinking of your perishables as valuable commodities that must be preserved at all costs, even if that means eating them. But consuming what you can before it goes bad will only lead to bellyaches and rising refrigerator temperatures. Your fridge is constructed to keep cool air in, and by keeping it shut during a power outage, you avoid compromising the temperatures needed to keep food bacteria-free. It's no secret that electricity is a powerful force, but we'll reiterate it here anyway. If you begin to believe that desperate times call for desperate measures, your judgement may be clouded, leading you to believe you’re equipped to handle things that are outside of the scope of your capabilities. No matter the circumstance of your local power outage, remember that you aren't prepared to repair powerlines. For additional information about power outages, we recommend contacting your local electricity provider. Your local energy company will also likely have a portion of their online site devoted to power outages in your area, allowing you to confirm your power outage is more than a blown fuse and to monitor outages as they occur and are repaired. If you have any additional tips for our readers, leave your comment in the box below. Yes to DeaDubb's comment above! Which power pack do we need to run a box fan, or get us out of our recliner? Help!